Do you have a problem when trying to hire beyond the people you know? Do you limit yourself to those people you do know? Do you recognize the cost of ignoring the majority of the labor pool? Do you want help with a selecting system that works? 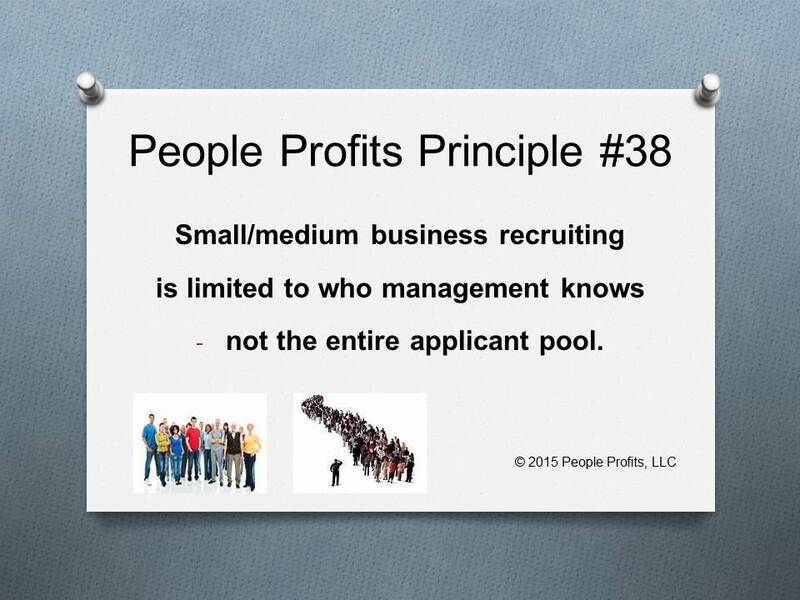 Small to medium business owners consistently limit their applicant pool by only recruiting people they know. As they get larger they recognize they can not continue to grow with that philosophy. The problem that then arises is that they have not learned how to recruit from the entire applicant pool. Quickly they get bogged down into spending a ton of money using recruiters, hiring "retreads" or not filling positions. What they need is a customized recruiting system that will get them the employees they need without the cost of recruiters.